Every time I try to log into twitch (whether via the "options" menu or by clicking "live stream" which pops open the login window, my game capture software (roxio) freezes. I am able to enter the information correctly, however when clicking the log in button, the software freezes, blue circle timer, and then "has stopped working" message. I know the login details are 100% correct, not sure what's happening. Any help is appreciated. that's not a solution? That's using a different program? But it is the ONLY answer you are going to get! So Corel KB article is wrong? Thanks I will make a note of that. Wonder if anyone has gotten Twitch to work lately? They still exist through Amazon. 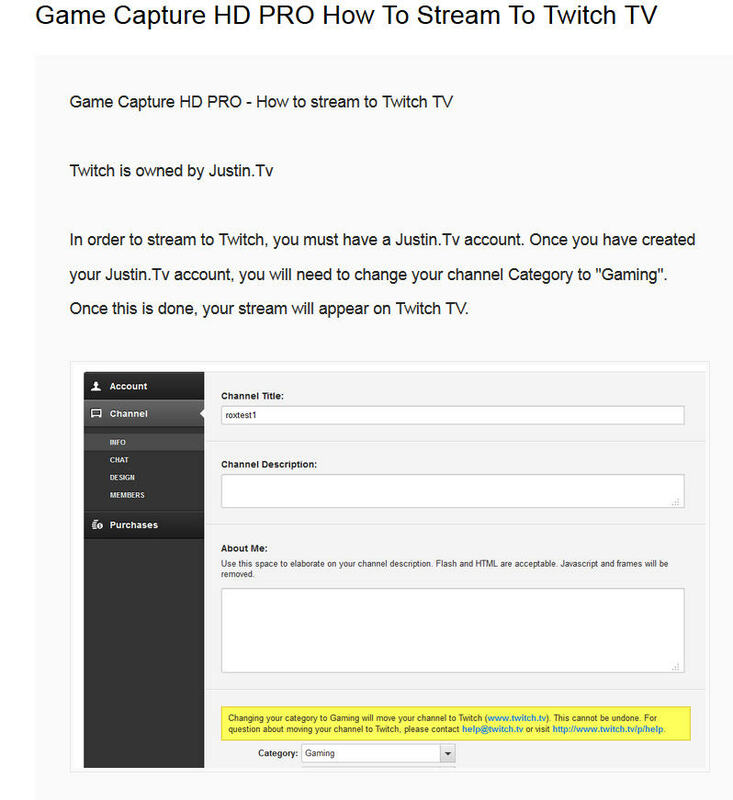 Could be that JustinTV is built into the GameCap software and without that part of the connection, it isn't working. Is there any official support from roxio, or is it just the folks who know their tech stuff? The software is pretty appalling and things like this just shouldn't be happening. I mean bugs happen. I work in software support myself as my 9-5 and yeah you get bugs, glitches, crashes etc. But they should surely be fixed if the company know of the issue? I get that you guys do what you can (and I'm sure in a lot of cases can help folks with issues), but are roxio themselves going out of business or do they just not care any more? Yes you can contact support! They can't create a solution to fix it but may be able to offer a workaround. I have also posted this to a newer thread created June. Maybe this will help. Please keep in mind that tinkering with your Registry Keys can destroy you OS in one click!